Dubai-based company will play a key role for LATRO in the region supporting RAFM solutions for telecom operators and national regulators. Easton, Pennsylvania and Dubai, United Arab Emirates – September 24, 2018 – – LATRO Services, Inc., an innovative market leader for Telecom Fraud Control and Revenue Assurance solutions,today announced that Dubai-based Acacia Innovations Technology (AIT) FZEwill be its exclusive partner in the Middle East and Africa regions. 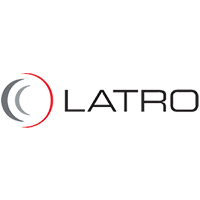 The appointment of AIT highlights LATRO’s focus on the Middle East and Africa as key markets where it delivers best-in-class products and services to customers. LATRO is the only RAFM solution provider to offer pinpoint Geolocation of SIM Box and SIM Server systems as well as report Pre-Call detections of virtualized SIM Cards used to defraud telecom operators and regional tax authorities from valuable international voice call revenues. For more than a decade, LATRO has delivered innovative managed services to telecom operators and national regulators including Advanced Signaling Analytics and Geolocation Investigations. LATRO has established itself in over fifty global markets and is the only company with expertise to pre-emptively locate and eliminate SIM Box and Bypass Fraud in telecom networks. For more details on how to eliminate SIM Box and Bypass Fraud, telecom operators, national regulators, and local value-added service providers in the Middle East and Africa regions can directly contact Acacia Innovations Technology (AIT) www.ait.global.